I’m loving the elegant retro vibe of this apartment! 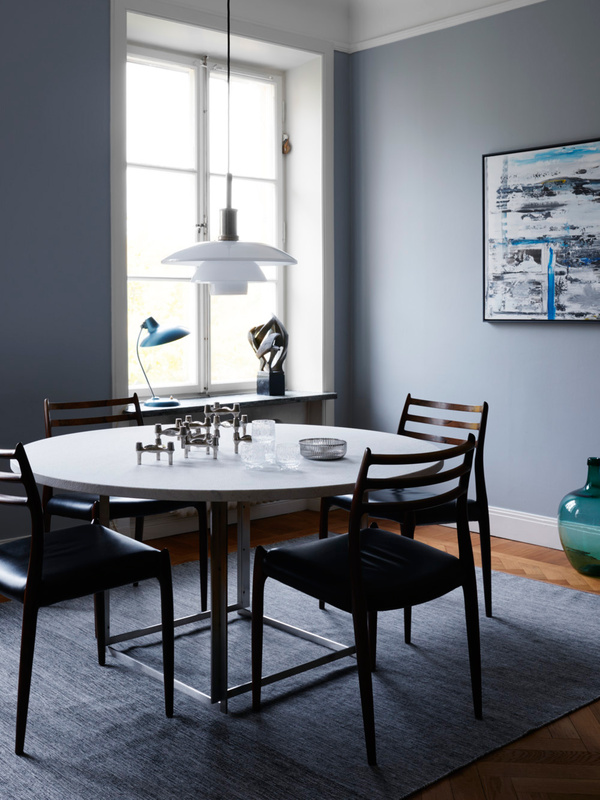 While it is filled with vintage Nordic furniture and accessories – most of what we see in this interior was designed in the 1950s and 1960s – the look is still very actual and relevant. 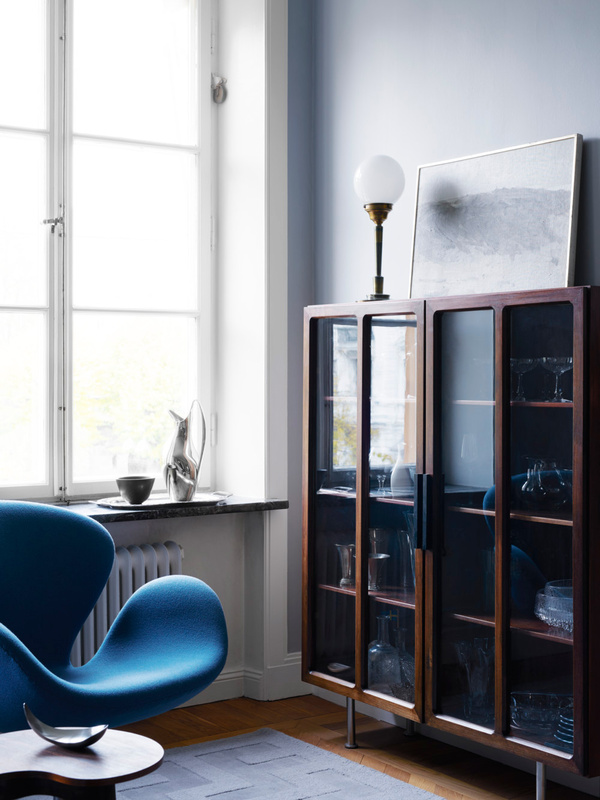 I spot classics by Niels Møller, Poul Henningsen, Poul Kjærholm, Tapio Wirkkala, and Arne Jacobsen, among others. 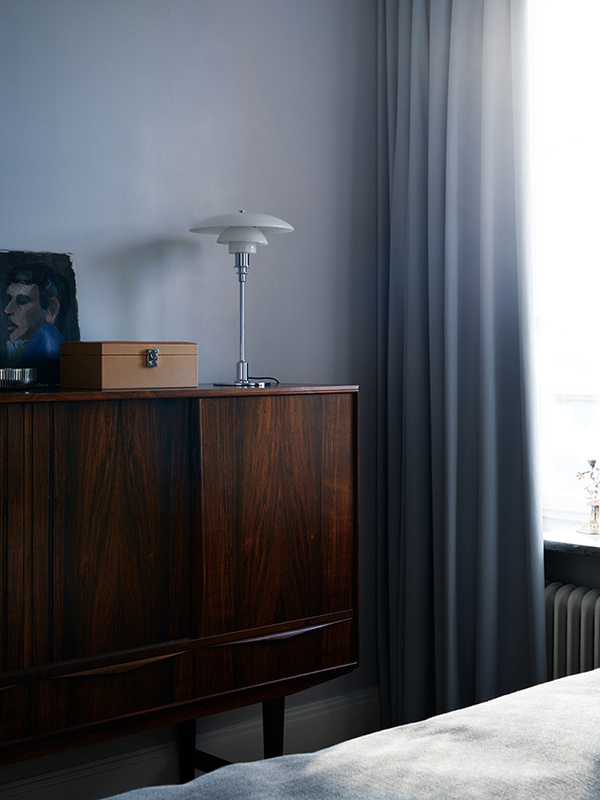 Timeless beauty is truly what Scandinavian masters excelled at. 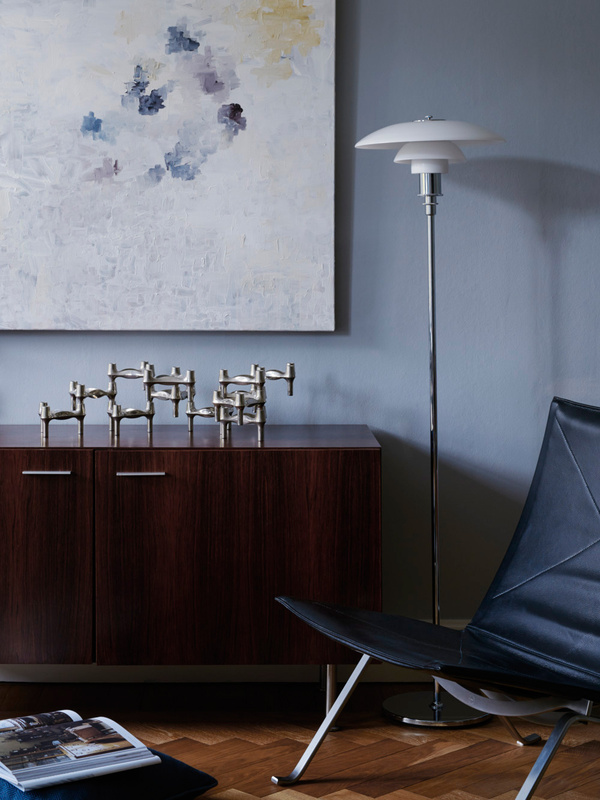 I find that rosewood and teak contrast beautifully against the gorgeous greyish shade of blue on the walls. 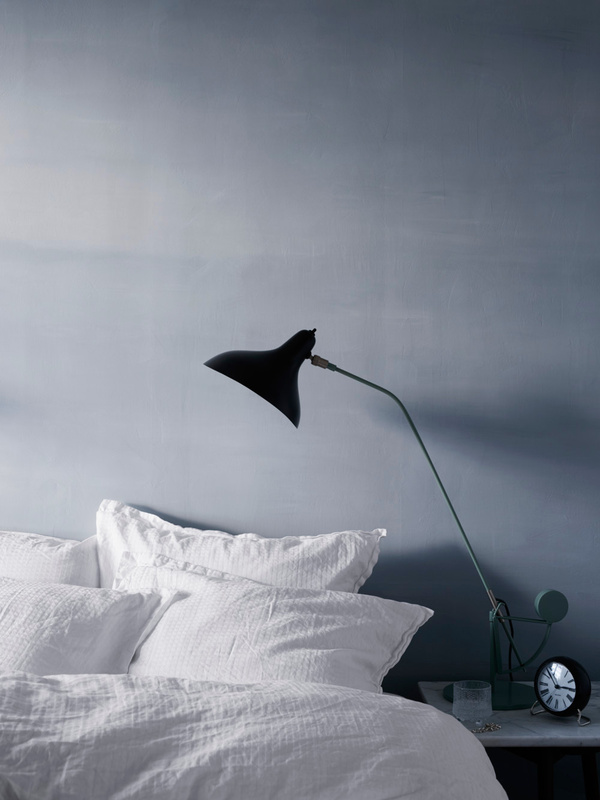 For something similar, try Oval Room Blue or Stone Blue by Farrow & Ball. If you’d like to score some fab vintage finds, I recommend Lauritz.com, 1st Dibs, Bruun Rasmussen or Chairish. 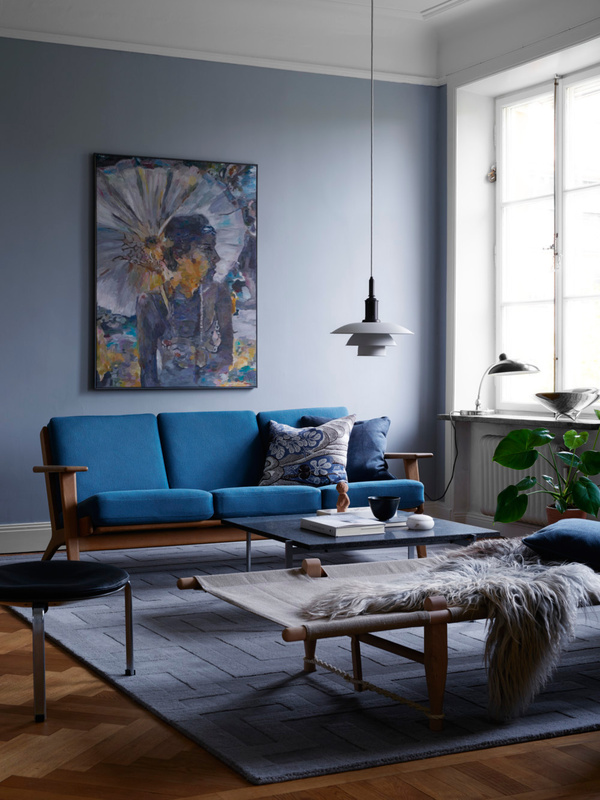 I love its blue tones and all those accent chairs and lighting fixtures… You’re absolutely right about the timeless beauty of Scandinavian pieces!